A church is mentioned in Domesday Book, but little if anything remains of any Anglo-Saxon building on the site. 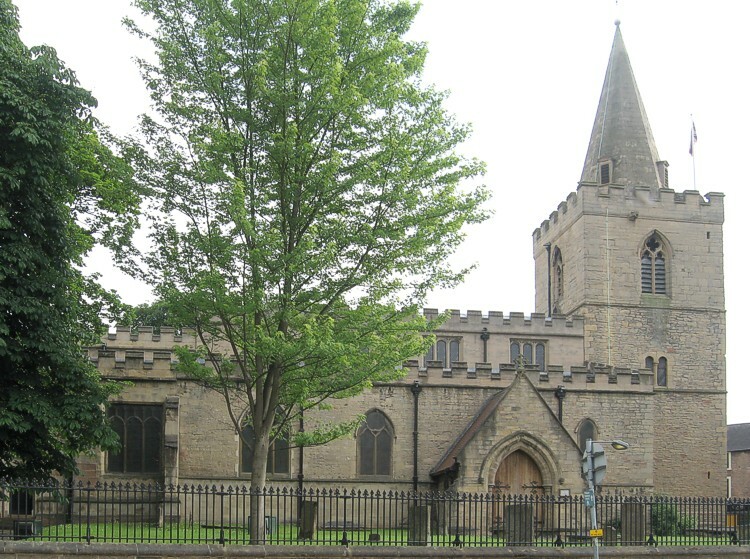 The church today contains a chancel with two chapels, a clerestoried nave, arcades of four bays, aisles, north and south porches and an embattled western tower with spire containing a clock, 8 bells and a set of chimes. The two lower portions of the tower are Early Norman. The piers and arches of the nave are mostly of the Early Decorated period to which the north door also belongs – one Early English window remains but the others are Decorated and Perpendicular. Aisles were added in the 13th century. The westernmost pier of the north arcade still rises from the base of a Norman column and the outline of a Norman window can be seen in the west wall. 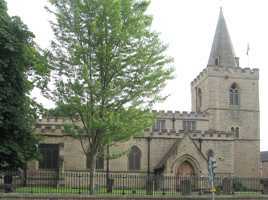 The church was partly burned in 1304 and the rebuilding completed by 1420. Two chantry chapels were added around 1475 and battlements and clerestory in the late 15th or early 16th centuries. A spire was added to the tower in 1669, and a clock in 1802. The church was restored throughout by William Smith of London in 1870-71 and in 1902 an organ chamber was added to the south aisle chapel. and to Geoff Buxton, Dr Chris Brooke and The Old Mansfield Society for the photographs.